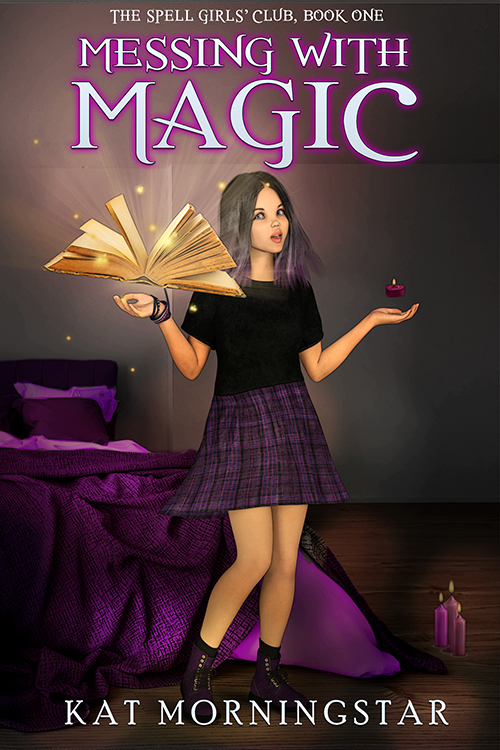 This little mischevious witch with a floating spellbook and candle is a 3D illustration so if you need more of the same model for future books, she can be created in any pose and clothing. Perfect for middle-grade fantasy, paranormal, witches, and magic. Contact amatthews@amdesignstudios.net with the reference number 3D_001 to purchase or for questions.